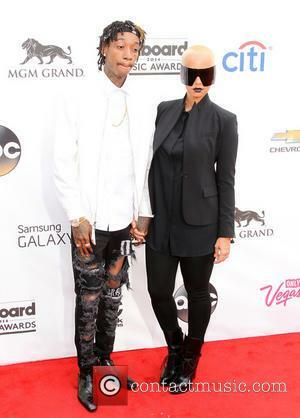 Police chiefs in El Paso, Texas have launched an internal investigation to determine how rapper Wiz Khalifa was able to sneak his cell phone into jail following his drug arrest on Sunday (25May14). 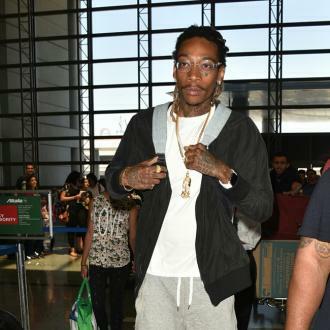 The Black and Yellow hitmaker was stopped at an inspection checkpoint at an airport in El Paso for travelling without identification, and he was subsequently taken into custody after security officials searched his belongings and found him in possession of 0.5 grams of marijuana. He was booked for the misdemeanour and placed behind bars, where he managed to post a series of 'selfies' on Twitter.com showing him in what appeared to be a holding cell. 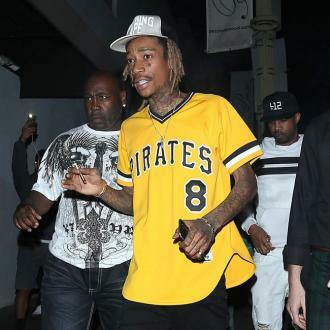 Khalifa was later released on $300 (£178) bail, but his social networking snaps have now prompted authorities to look into the apparent security breach. Inmates are supposed to have their belongings confiscated before they are locked up, reports Tmz.com.